Don’t Sweat Choosing a Theme! By now you have probably started your WordPress Site. The next step in creating your website is choosing a theme. People freak out about this, but it is a tiny decision because WordPress Themes can be changed at any time, with minimal effort. Although it is easy to change, finding a theme that fits your website from the beginning always makes it a bit easier. Here are some tips and pointers on how to choose a WordPress Theme. 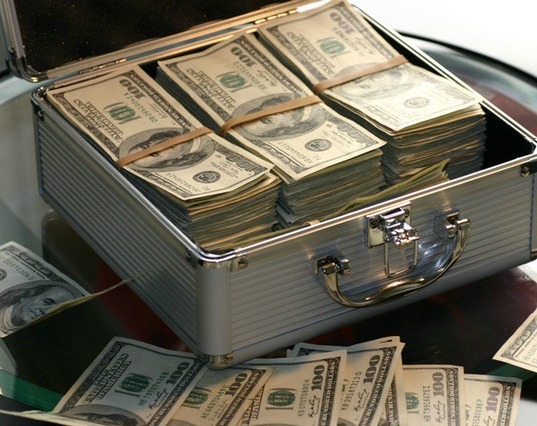 Make sure to check out the course I used to learn how to drive traffic to my blog and make a full-time income with my blog, Wealthy Affiliate! Ability To Change Your Theme: Like I said above you can go back and change your theme at any time. 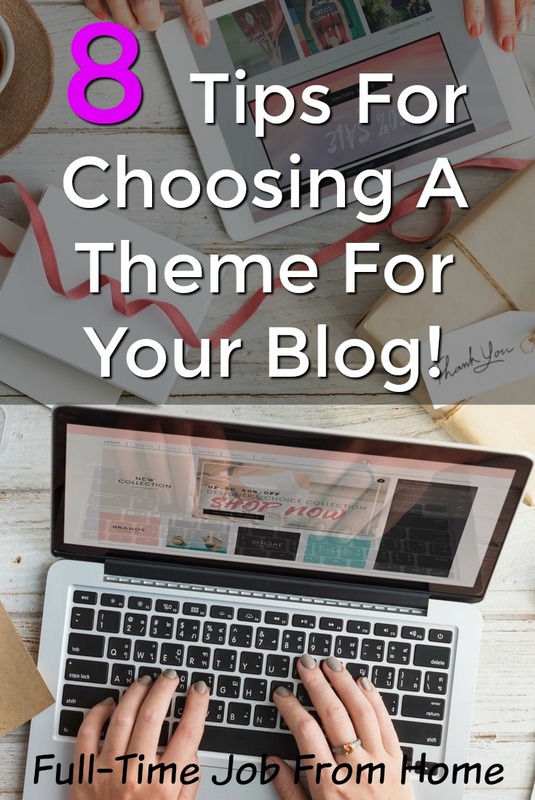 Make sure to try multiple themes when you’re first starting out, this will help you get a feel of your site in the future. What Will Your Site Become: This is the most important part of choosing a theme. You probably have some idea of what your site will be and contain a year down the road. This is very important because some themes don’t support all WordPress plugins. Also, some themes use a certain plugin better than others. Make sure to keep this in mind when choosing your theme. You don’t want to put in tons of hard work to find out the main purpose of your site won’t work on your existing theme. Busy Themes are not always better: Just because the theme looks fancy doesn’t mean it’s better. Especially when starting out, find a theme with a simple layout and plenty of white space. Once you get more experienced, you will be filling up a lot of this white space any ways. A Simple design makes it more reader friendly and helps readers concentrate on what you have to say instead of the cool widgets you have. Do Not Pay For Themes: Paying for themes is not necessary, especially when you are starting out. There are 1000s of free WordPress Themes that are available to you. Most of these themes have all the functions you will need. In the future, if you find a paid theme that has a lot of functionality that you like. Go ahead and buy it, but for now, find yourself a free theme. Your Theme Can Only Hurt You: To be honest which theme you choose doesn’t really matter as long as you find one that has the features you need and makes sense for your niche. The only thing a theme will do is hurt you if you choose a theme that has too many fancy graphics it will take away of the readability of your content. As you can see choosing a theme is not something set in stone. There are a few things you will want to consider when choosing your first theme, read these below! Although themes may be changed at any time. It’s a hassle to continue to change themes, as a first time WordPress site builder there are a few things to think about when choosing the first theme for your website. Responsive Themes: If you have done any research on WordPress themes you have probably come across the word responsive. A responsive theme is great to get started with and will ultimately save you some problems when your site becomes more popular. A responsive theme adjusts its visual properties to the device it’s viewed on. For example, the view of a website changes between a tablet and desktop computer. Visual properties can even change between different browsers. Having a responsive theme will help you avoid crazy and skewed layouts of your website between devices. Support: If you’re not a WordPress veteran you will probably run into some problems using your new WordPress theme. I would highly recommend taking a look at the support for a theme before making a final choice. 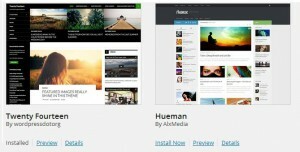 Most popular themes have their own support website along with support through a WordPress forum. Ratings & Creator: When choosing a theme to make sure to look at the ratings of what others are saying about the theme. To be honest, not all themes are equal. Another good thing to look at is the creator of the theme. If the theme creator is a seasoned veteran, who has created multiple themes and released multiple updates chances are the theme is pretty good. There you have it; a WordPress theme is not something to stress about. You can change your theme at any time which lets you try multiple free themes to find which one fits your site best. Do your research before making a final decision on a theme, and it will save you some headaches down the road. Find a theme that fits your niche and has the functionality needed to run your site properly. This will ultimately lead to more success down the road. If you would like me to do some research on a theme your thinking of using leave a comment below. Once you choose a WordPress Theme, come back and post what you chose and why! I would love to hear! If you’re struggling to drive traffic and make money with your blog, make sure to check out My #1 Recommendation. It’s where I learned to make money with my blogs! Don’t forget to check out the tools I use to run this blog!